In the last ten years, cloud computing has been used by forward-thinking firms across the globe, looking to increase their productivity, revenue and customer satisfaction. Read on to find out how the call centre industry is also embracing this type of new technology. Up until now, cloud computing has largely been confined to consumer web space. However, as contact centre customers are increasingly demanding a faster, more responsive service, so the industry is also embracing this type of new technology. As applications are delivered over the internet or in ‘the cloud’, organisations can move away from complicated physical set-ups on-site. These applications can be updated dynamically, meaning that agents always have the most up-to-date customer information to hand. And because contact centre staff can access the cloud wherever they are in the world, this provides greater scope for home-working, as well as dealing with more unforeseen circumstances. Running processes in the cloud means call centres can make significant cost savings, as they are able to reduce the amount they spend on maintenance and upgrades of traditional IT systems. Cloud applications can also be rolled out quickly, a crucial benefit given the fast-paced nature of the call centre industry where speed is a key performance indicator. If payment is by subscription, firms only pay for what they use and there is no large upfront expenditure. Plus, as agents have secure access to all the information they require irrespective of the computer they are working on or where they are physically, relocation or expansion becomes more of a seamless experience. A case in point is when SHL Group moved its operation from Colorado to the UK, which it did without even having to contact NewVoiceMedia. The game has changed and customers now turn to the likes of Twitter and Facebook for help. This has created the power of “crowd sourcing”, where enthusiasts rather than salaried staff proffer information online. 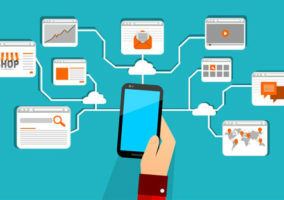 A number of applications have emerged, such as Salesforce’s Service Cloud 2, where all channels of communication, including social media, are consolidated together. This means that you can highlight a customer complaint on Twitter in the same way as a telephone query. This allows the customer service team to create, follow and respond to cases. Its Salesforce Answers product allows staff to flag and store feedback from social media sites in the cloud. Cloud computing does have its drawbacks, of course. As Peter Massey, managing director with consultancy Budd points out, “as with other data from music files to word processing documents, once you have your data stored in a certain way with one provider, if you wish to swap to another, there may be an issue with convergence if they store data using a different application”. Cultural resistance can also play its part – how willing are the various departments within a contact centre to embrace the cloud computing concept? Will more traditional IT departments, particularly in larger organisations, readily want to swap their hardware? How do agents feel about moving to a different way of working? Nevertheless, cloud technology offers the opportunity for contact centres to track online conversations, meeting demand for a faster, more responsive customer service across every channel of communication. Pick an experienced cloud computing partner, one that understands the needs of the contact centre industry. Adopt a multi-channel strategy. Utilising lower-cost interaction channels, such as email, plus chat, web self-service knowledge base, Twitter and Facebook, can result in significant cost savings. Be strategic. Target activity to focus on encouraging growth and quick wins. It might not be appropriate to roll out the cloud to an entire call centre in the first instance. Instead use it in the sectors that will benefit most first. Plan for scalability. Multi-tenant cloud architecture ensures you pay only for what you use, and you can scale up as required. Streamline escalation processes. Identify areas of expertise among your agents and automate the assigning of cases to queues based on geography, product, customer service and entitlement levels. Understand virtualisation. Hosted contact centres, delivered from the network, are one the quickest, most cost-efficient ways for a business to virtualise resources and improve service quality by connecting the best person with the right skill to the right enquiry every time, wherever they may be located. Build closed-loop business processes. Multiple-user communities from all areas of the business benefit from a 360-degree view of customer interaction history. Use knowledge behind every interaction. Integrate your knowledge base so that agents, web self-service and all customer-facing employees are unified for coherent messaging and consistency across all channels, thereby driving up first-call resolution and customer satisfaction. I agree with the top tips, in particular number three to be strategic about implementation. It is now possible to purchase individual cloud based Apps that will integrate with existing systems. For example postcode look up, email and telephone validation etc.each one can be purchased separately to enhance existing data capture or validation systems. It is now possible to target only those areas needing help, implementing the change and measuring the impact. 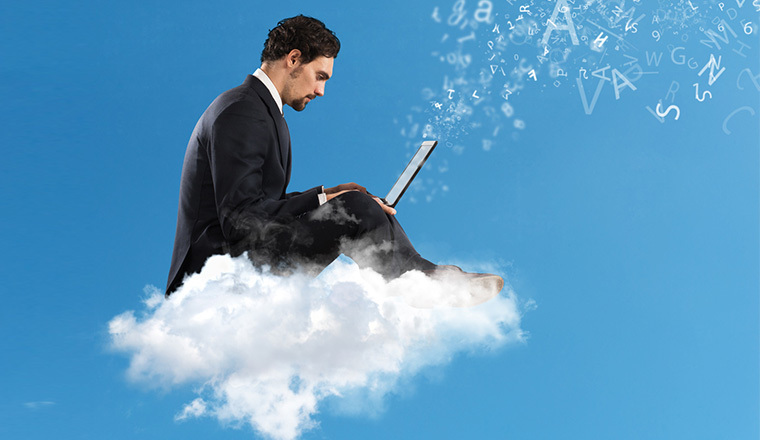 Cloud computing has significant benefits for international companies with contact centres all over the world. Cloud computing can utilise the power of the internet to bring the audio data analysis for all the call centres together, resulting in more efficient global management.